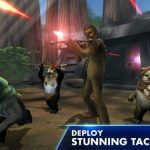 We’re back with another list of Star Wars: Galaxy of Heroes tips and tricks, and this time we shall be focusing on how you could unlock more heroes. But before we do that, let’s take a quick look at this game, in case you missed our first Star Wars: Galaxy of Heroes strategy guide or need to have your memory jogged. 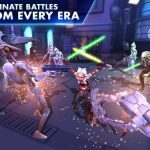 This is a title from Electronic Arts that’s available for iOS and Android devices, and in here, you can collect Star Wars characters from various eras and episodes, and conquer your opponents in epic, RPG-style combat. You can build your own light and dark teams with Jedi and Sith heroes alike, and make different choices in this game that may lead to success…or defeat. This game is called Galaxy of Heroes, so you’re probably wondering how you can collect and unlock more heroes. So join us once again as we bring you this new strategy guide and walk you through the process of collecting heroes in this game. One of the most basic things you can do to get more heroes is to log in to the game at least once a day. Even if you don’t have any time to play, simply logging in for a couple minutes (or even less) is fine, and that will count toward your daily logins. You can get daily rewards, and you will see a new hero on the rewards list each month; you can then collect shards to unlock that hero. Just keep logging in, even if you’re not playing, and you’ll be assured of at least one free hero per month. Replaying difficult battles in the game is the best way to collect shards that, as we said above, will allow you to unlock heroes. Since you’ll know in advance what character shards you’ll be getting if you find them, make sure you check the heroes and focus on the ones that you want to collect. Additionally, normal battles could give you a chance to win some shards when they’re completed. Keep taking part in those battles and you’ll gather more shards. You can get one Bronzium Data Card for free every ten minutes, and if you want more, you can spend Ally Points to get some. These cards won’t always come with heroes – in fact, this rarely ever happens – but when you do get heroes, they’re sometimes rarer and better. Many times you’ll get a one-star common hero, but you just might luck out and get one with four stars. It’s been done many times by many players, so be patient and don’t overlook those Data Cards. Shipments are like the proverbial box of chocolates – you’ll never know what you can get. But sometimes you could end up with shards, which, as we’ve said a couple times, allow you to unlock characters. 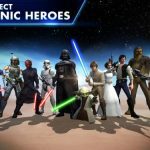 Star Wars: Galaxy of Heroes has an in-app store, where you can buy one of several bundles that can be purchased with actual money. While you will pay real money for them, you will get a guaranteed hero; we should warn you that these bundles are expensive as of this writing, so you should only go for the bundles if you can afford them, and if you’ve exhausted all other methods to collect heroes. Still on the topic of bundles, the one you’ll want to go for is the Chromium Data Card Bundle. This is much recommended because you’ll get a nominal discount, and you’ll still get guaranteed shards or heroes. 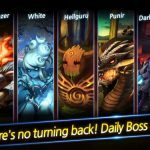 That’s going to cost you crystals – the game’s premium currency – and if you’re wondering how to gather more crystals, you need not worry. We’ve got a strategy guide coming for that, so watch for it! Yes, it’s true – you will get Darth Vader himself once you complete the game’s achievements. Shoot for those achievements and complete them as fast as you can. Just as he is in the films, Darth Vader is quite a powerful character, and you will definitely need him once you play the Dark Side campaign. Star Wars: Galaxy of Heroes is still a relatively new game, so we can’t really verify this with 100 percent certainty. But there’s a good chance that completing events could give you a chance at unlocking rare characters. Just take part in the events when they come up and see where it goes from there, but most of all, be patient – there are many ways to accumulate a decent (or better) stable of heroes, after all.